And hosting a watch party. 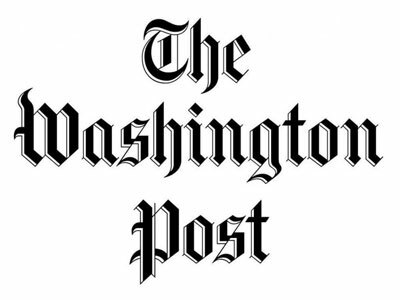 When the clock strikes a minute after midnight on Election Day, The Washington Post’s paywall will be coming down, allowing readers to feed with abandon on content throughout the day. It is only one part of the publication’s plan for Election Day, which, as reported earlier, will feature the journalistic stylings of Heliograf, WaPo’s AI tech offering updates on races throughout the country, as well as a watch party and a five-hour long (at least) live show available on the Post’s site, mobile app, Apple TV, Fire TV and Facebook. Nothing at the scale of the live program has previously been attempted at the Post. “We’re taking advantage of new platforms like Facebook and Periscope along with increasing traffic to our site to provide a first and second screen experience for our readers,” Micah Gelman, director of video, tells FishbowlDC. Beginning Nov. 8 at 7 p.m. ET and continuing until a winner is declared, reporters Ed O’Keefe and Elise Viebeck will host the show from the D.C. newsroom as they provide election updates and talk to other Post reporters, including The Fix’s Chris Cillizza, who will report on results. The invite-only, cocktail-laden watch party, also at D.C. headquarters, is a first for the Post.